Today we celebrate #WorldSmileDay – where we shine a spotlight on those people that make us smile and perform kind acts. One person who brought lots of smiles to LifeTime was 15-year-old Oliver Flexen – who came in to volunteer as part of his Duke of Edinburgh’s Award. Here Oliver, who attends Tower College, tells us about his time at our centre. “I learnt a lot during my time at LifeTime from the staff, volunteers and the members – including how they have lots of different classes each day for members to join in with – but also that people can just come in for a chat and a cup of tea if they want to. “I made a lot of tea and learnt how to make coffee, signed members in for Zumba and took payment and sat with some of the regular members and played dominoes – it was great! “Lifetime has a Transport Group and as I love cars so much, Peter from the group asked me to do a presentation for them about electric cars. I did this on PowerPoint and I hope they all enjoyed it. “The rest of my time was spent setting up rooms for various events, manning the welcome desk, signing members in, taking payments and generally chatting. I also visited Warrington Food Bank, which taught me a lot. “Everyone was so friendly, and I have really enjoyed my volunteering. I am now an expert at making tea and playing dominoes! “I would like to advise anyone over 50 to join Lifetime as it is such a friendly place and you can do exercise classes, photography, computing, sing in the choir, join the transport group and join in with day trips. There is no longer any need to be lonely in Warrington – everyone can have a smile and I hope I made some people smile too! 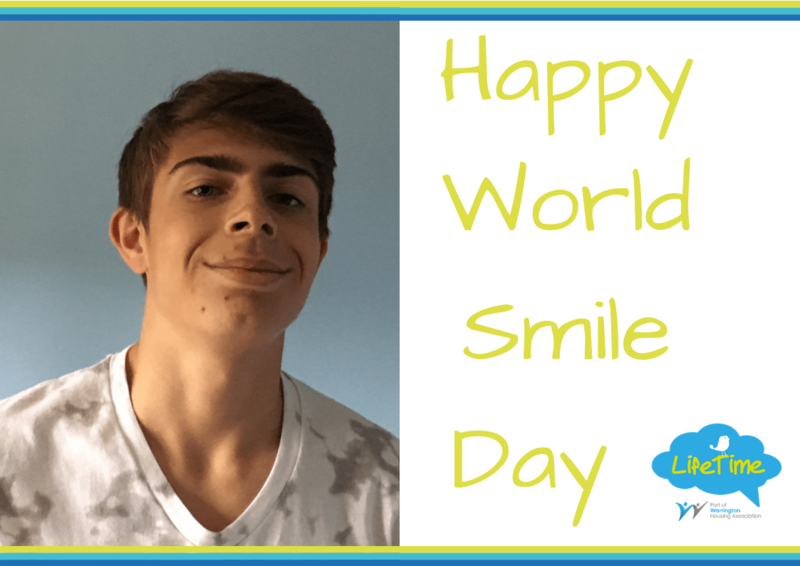 Can you help one person smile today?